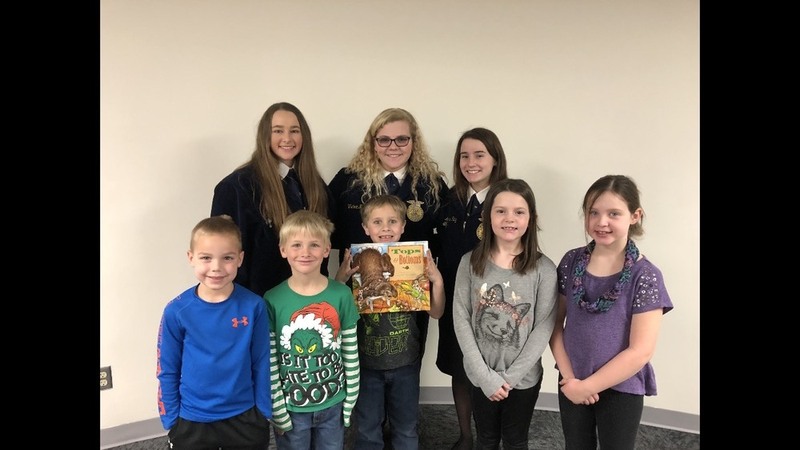 On December 20, three Ord FFA officers, Morgan Ritz, Vicki Ference, and Amber Staab, went to the elementary to donate the children’s book Tops and Bottoms. The program we donated it through was Farm Bureau Connecting the Chapters. The purpose of this program was to advocate agriculture for the youth in our community. We will be reading this book during National FFA Week along with other numerous activities donated by the Farm Bureau. We are so thankful for opportunities that we have here at the Ord FFA Chapter. Our chapter is so honored to be able to give back to our community!